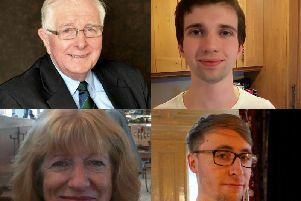 South Tyneside voters have given MPs another set of strong words to consider after last night's vote on Theresa May's Brexit deal. Both of South Tyneside's MPs voted to reject the deal. Ms Lewell-Buck wants a better deal to be found while Mr Hepburn said a General Election was needed to sort out the "mess". Many Gazette readers, however, have reacted with anger on our Facebook page. Jim Leeder said: "It’s a pity Labour is such an unelectable shambles. They lost their original roots and stopped representing working people decades ago. "They are only surviving because so many families have a tradition of voting Labour no matter how bad the MP or mad the Party." Norman Graham said: "Labour can not be trusted. If they had followed their constituents' instruction Brexit would be all sorted. Come the next election a lot of pro-remain MPs will lose their seats." Louise Tebble said: "If you think the Tories are a better choice then be prepared to keep austerity, child poverty, food banks and rising homelessness." Paul Brenen said: "Time for our Labour MPs to go, they are not honouring the referendum result either. "We need people who will get us out as MPs. Not vote for a second vote or another election. Our MPs do not represent their constituents who voted overwhelmingly to leave the EU. Leslie Brown said: "Labour is unelectable under their Leader Jeremy Corbyn. Corbyn has an alternative motive for his own good not what's best for the Country. MPs have behaved like Children in the playground over the last two years." Paul Elder said: "General election to get rid of you two."